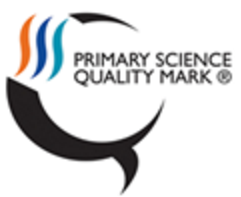 We are very pleased to announce that, thanks to all the hard work put in by Mrs Guinness, our school has been awarded the Primary Science Quality Mark. The Primary School Quality Mark scheme celebrates a commitment to excellence in science teaching and learning and enables schools to work together to share best practice. Mrs Guinness continues to work hard to ensure that science teaching at our school is exciting and engaging and that the children are enthusiastic learners who are able to develop their scientific curiosity.